There is a $75 fee on tent deliveries. An additional fee will be added when we are delivering more than 10 miles from our location. That fee will be $4/mile. Deliveries are made to a convenient point for the delivery vehicle to park. Extra charges may result in deliveries to upstairs events, downstairs to lower lakeside venues or any point where extra time is involved. All party and event rentals require a 50% non-refundable deposit at the time of reservation. The remainder of the balance is paid one week prior to the delivery. Acceptable forms of payment include all major credit cards, check or cash. Reservations may be cancelled at any time; however, an additional 25% cancellation fee will be charged in the event that a tent is cancelled from an existing reservation within 30 days of the event. A 50% cancellation fee will be charged for a party or event reservation that is cancelled within 7 days of the event. Both of these charges are in addition to the original non-refundable deposit. Changes to orders prior to the event are expected, as the number of guests can frequently change or the weather becomes inclement. We highly recommend that you attempt to make any changes at least one week prior to delivery. We will make every effort possible to work with you to meet your party and event rental needs. - Additional space is required for staking tents, for instance, a 20’x30’ tent requires a 26’x36’ area. - Water barrels can be used to secure frame tents on hard surfaces where staking is not permitted. 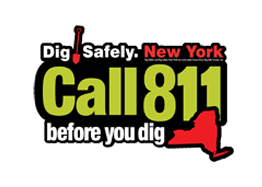 811 must be contacted before any tent is set up. Pinnacle Rental Centers will contact 811 prior to every event, unless the customer has an on-site maintenance person who can clearly paint or flag any underground utilities present. We will require additional paperwork with any last minute reservations where there is insufficient time to contact 811. OR go online to make your request..